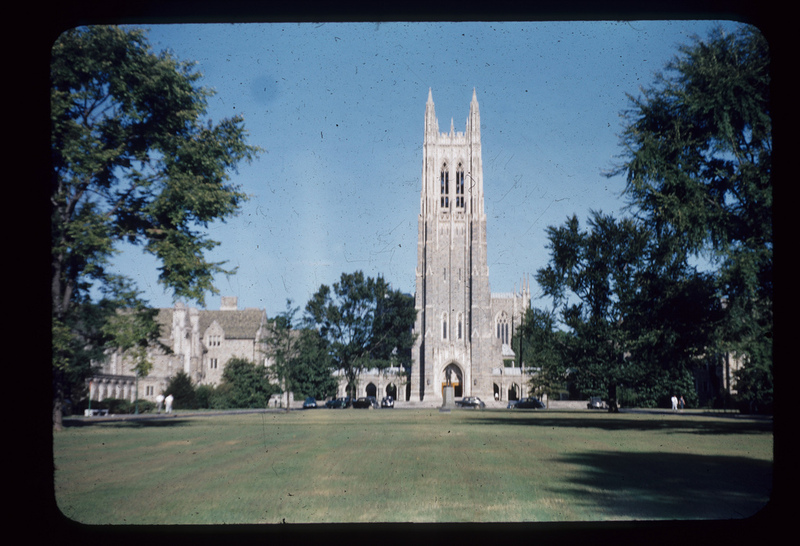 Duke Chapel Recordings Digital Collection! 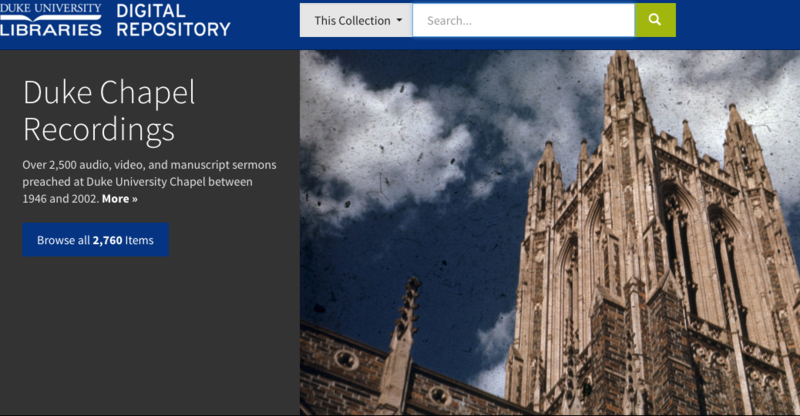 I think I speak for all of us in the Digital Collections Program when I say how excited we are to roll out this complex collection of digitized audio, video, and manuscripts that document sermons at Duke Chapel from the 1940s to early 2000s. You can now watch, listen to, and read sermons given at the Chapel by an array of preachers, including Duke Divinity faculty, and notable female and African American preachers. Many of the recordings contain full worship services complete with music by the Chapel’s 100-voice choir and four pipe organs. There are also special services, such as Martin Luther King, Jr. memorials, Good Fridays and Christmas Eves, Baccalaureates, and Convocations. Digitization of this collection was made possible through our collaboration with Duke University’s Divinity School, Duke Chapel, University Archives, and Duke University Libraries’ Digital Collections Program. 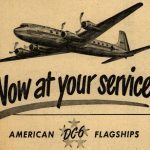 In 2015, the Divinity School received a Lilly Endowment Grant that funded the outsourcing of A/V digitization through two vendors, The Cutting Corporation and A/V Geeks, and the in-house digitization of the printed sermons. The grant will also support metadata enhancements to improve searchability and discovery, like tagging references within the recordings to biblical verses and liturgical seasons. The Divinity School will tackle this exciting portion of the project over the next two years, and their hard work will help users search deeper into the content of the collection. 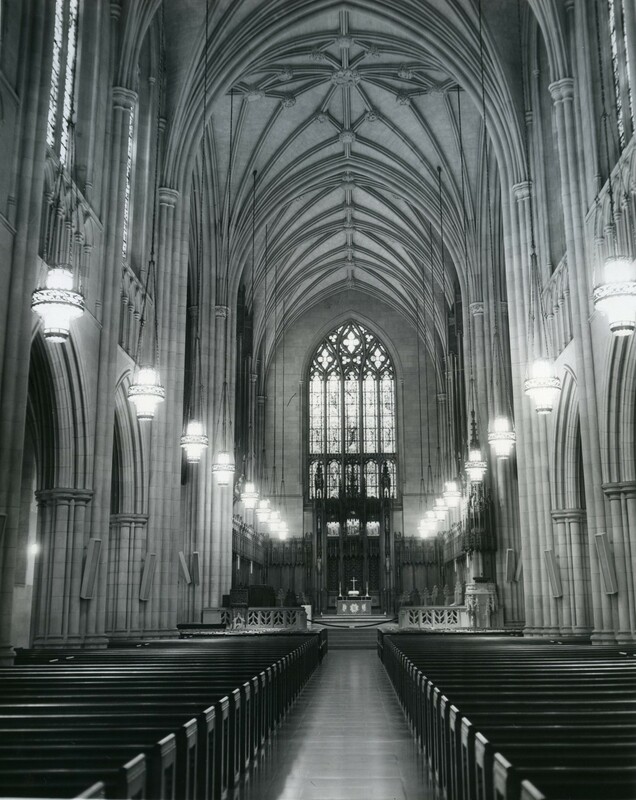 Back in 2014, digital collections program manager, Molly Bragg, announced the release of the first installation of digitized Duke Chapel Recordings. 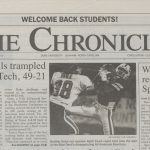 It consisted of 168 audio and video items and a newly developed video player. This collection was released in response to the high priority Duke Chapel placed on digitization, and high demand from patrons to digitize and view the materials. Fast forward two years and we have upped our game by expanding the collection to over 1,400 audio and video items, and adding more than 1,300 printed sermon manuscripts. Many of the printed sermons match up to a recording, as they are often the exact document the preacher used to deliver their sermon. 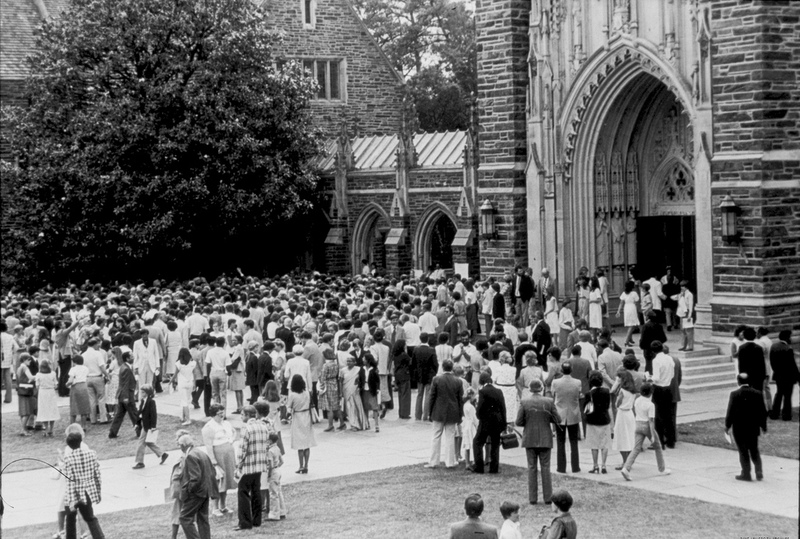 The online content now represents a large percentage of the original materials held in the Duke University Archives taken from the Duke University Chapel Recordings and Duke Chapel Records collections. Many of the audio reels were not included in the scope of the project and we hope to digitize these in the near future. 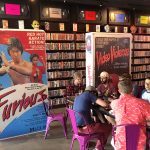 The Lilly Grant also provided funding to generate transcriptions of the audio-visual items, which we outsourced to Pop Up Archive, a company that specializes in creating timestamped transcripts and tags to make audio text searchable. Once the transcriptions are generated by Pop Up Archive and edited by Divinity students, they will be made available on the web interface alongside the recordings. All facets of this project support Divinity’s Duke Preaching Initiative to enhance homiletical education and pedagogy. 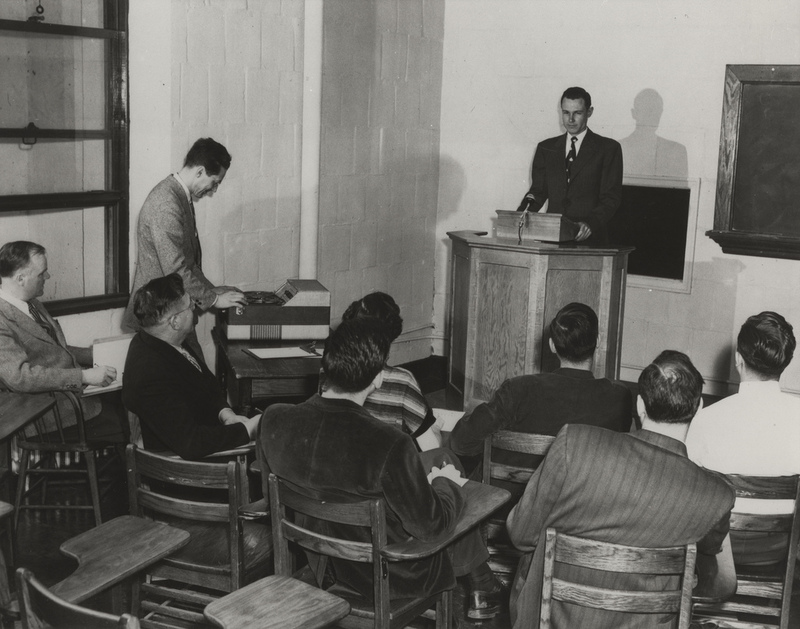 With the release of the Duke Chapel Recordings Digital Collection, the Divinity School now has a great classroom resource to help students learn about the art of sermon writing and delivery. The release of the Chapel Recordings marks yet another feat for the Digital Collections Program. This is the first audio-visual collection to be published in the new Tripod3 platform in conjunction with the Digital Collections migration into the Duke Digital Repository (see Will Sexton’s blog posts on the migration). Thanks to the hard work of many folks in the Digital Repository Services and Digital Projects and Production Services, this means for the user a new and squeaky clean interface to browse the collection. With the growing demand to improve online accessibility of audio-visual materials, Chapel Recordings has also been a great pilot project to explore how we can address A/V transcription needs across all our digital collections. It has presented us all with many challenges to overcome and successes to applaud along the way. If you’re not intrigued by the collection already, here are some sermon titles to lure you in! From contemplative, to entertaining, to historical, the sermons cover a broad range of topics. I encourage you to take a look and a listen!